Check out the Bold Nebraska ad that’s in this year’s State Fair Gatebook! 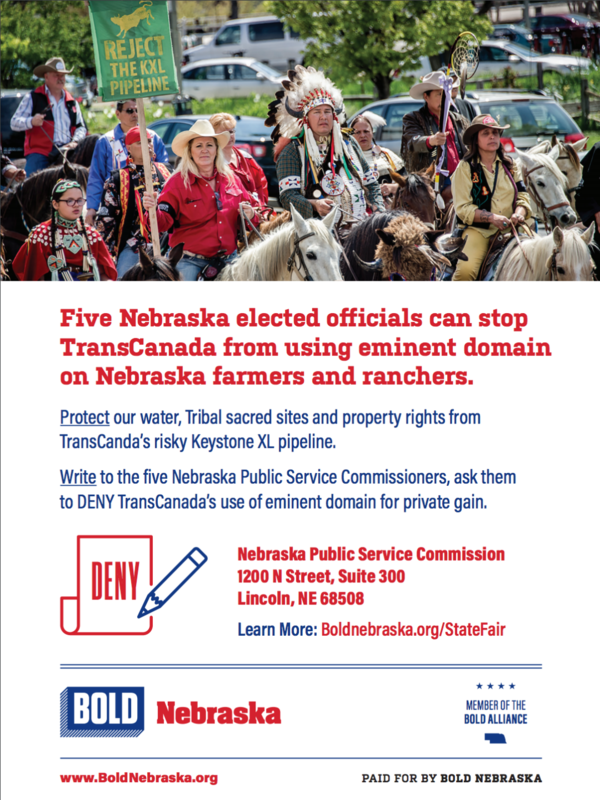 The deadline for members of the public to submit comments on TransCanada’s permit application to build Keystone XL in Nebraska is August 11, 2017. Check out our KXL Fact Sheet for help with composing your comment.